The Challenge drama has continued outside the house. Britni Thornton, who was most recently seen on The Challenge: Vendettas was arrested for DUI on Saturday, April 14, just before 8 p.m. ET, Us Weekly can confirm. 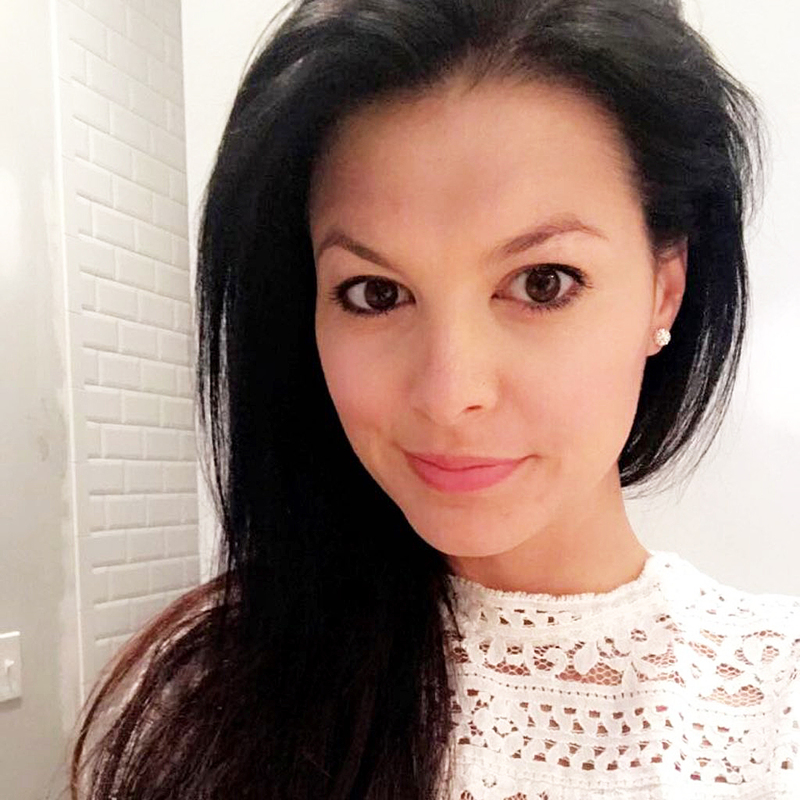 The reality star was charged in Columbia County, Georgia, with driving under the influence of alcohol or drugs, as well as Failure to Maintain Lanes. Hall, 31, also spoke with Us about her ex’s relationship with Thorton. Rep. Luke Messer’s Senate campaign is pushing back against a report that he attempted to hide his multiple DUI charges when he first ran for public office in a successful bid to replace a state lawmaker who had been killed by a drunk driver. According to the Indianapolis Star, Messer, a Republican who is now running for U.S. Senate in Indiana, didn’t disclose his two drunk driving convictions — to local, county or district party leaders — when he first ran for a legislative seat in 2003, replacing a state representative who was killed by a drunk driver. Messer’s first public disclosure of the convictions was in a 2009 news report, the Indianapolis Star reported. Messer’s campaign called the story — which was published less than a month before the primary election — “misleading” and “politically motivated,” claiming Messer privately informed some legislatures and party leaders of the charges before he ran for office, just not everyone. “Luke has acknowledged and apologized for these mistakes which occured more than 23 years ago,” Chasen Bullock, Messer’s campaign manager, said in an emailed statement to Fox News. The first drunk driving conviction was in 1990 when Messer was still in college, Messer’s campaign confirmed to Fox News; the second was in 1995 when he was 26 years old and working for a law firm. Messer, 49, is in a contentious three-way battle for the Republican nomination with Rokita and former state Rep. Mike Braun. The general election is considered a toss-up: whoever wins the Republican primary on May 8 will go on to face Sen. Joe Donnelly, the Democratic incumbent who assumed the office in 2013. “Voters deserve the truth, and Messer has gone to great lengths to mislead on the important issues in this race,” he added. Messer’s campaign told Fox News the family of state Rep. Roland Stine, who was killed in April 2003, was aware of Messer’s past and had even “encouraged him to pursue public office.” But the Indianapolis Star said the late state lawmaker’s wife and daughter could not recall if he told them before or after he was elected. “We’ve forgiven and moved on,” she said. BRIDGEPORT – The court case of a veteran city police officer, charged with driving drunk and injuring a young Trumbull woman in a wrong-way crash, was continued Monday. 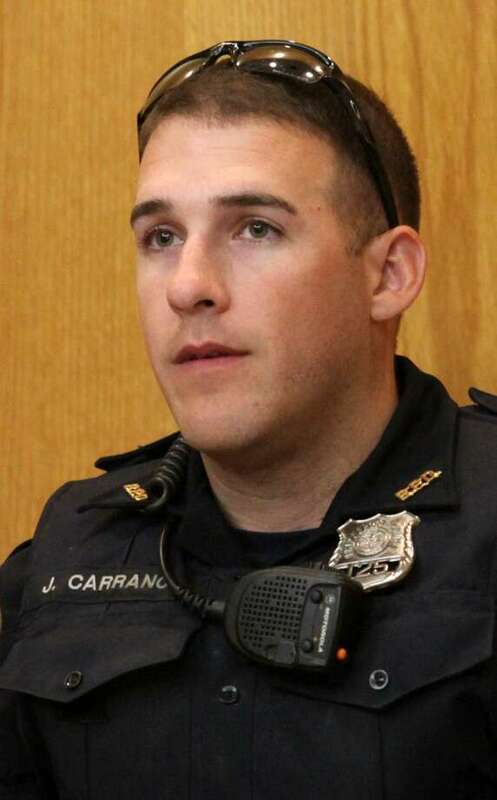 John Carrano, 33, a member of the Bridgeport police force for seven years, is charged with second-degree assault with a motor vehicle, operating under the influence, driving the wrong way and failure to drive right. Carrano did not enter pleas in the case Monday and it was continued for two weeks. Both Carrano and his lawyer, James Ruane, declined comment as they left the Golden Hill Street courthouse. Police said Carrano had a blood/alcohol level of .25 – more than three times the legal limit – when he drove the wrong way on Broadbridge Avenue and ran head on into the 19-year-old woman who is the granddaughter of former Bridgeport mayor Thomas Bucci. Jack Nicholson : ’cause it (censored) wanted to. That’s the (censored) reason. Police haven’t said why a Royal Oak police officer opened fire and fatally shot a 28-year-old man inside his vehicle at a White Castle drive-thru on April 11, and a lawyer and relative of the man who was killed believes charges should be filed. The case remains under investigation by the Oakland County Sheriff’s Office and no charges have been filed against the officer. Police say Antonino T. Gordon, who was driving a relative’s BMW, fled a traffic stop and was later found waiting in the drive-thru line before he was shot. Bloomfield Township attorney Joseph Dedvukaj, who is representing Gordon’s family, claims a woman who was in the drive-thru line behind Gordon and a patron inside the restaurant said the unidentified officer wasn’t directly in the path of Gordon’s vehicle. The gunshots “were from the driver’s side, slightly behind the driver, the equivalent of shooting somebody in the back,” the attorney said. The Oakland County Medical Examiner’s Office ruled the death a homicide resulting from gunshot wounds to the chest and arm. The Oakland County Sheriff’s Office declined to comment on Dedvujak’s assertions. “The attorney can claim whatever he wants to claim, but that does not mean his claims are necessarily correct, because the investigation is ongoing,” Oakland County Undersheriff Michalel McCabe told MLive in an email. The family took possession of Gordon’s body and plans to conduct its own autopsy, Dedvukaj said. He said preliminary information provided to him by the family’s pathologist indicate Gordon was shot twice in the chest, from side. There was another graze wound on the left shoulder, Dedvukaj said. Dedvukaj says the bullets entered the driver’s side of the vehicle. He expects that surveillance footage from the White Castle restaurant — if not also the officer’s dashcam footage — will show exactly what happened. Investigators seized the video and camera system, but “at some point I will get access to it,” Dedvukaj said. According to Royal Oak 44th District Court Records, Gordon was convicted of operating while under the influence in May of 2016 for a 2015 incident. He was sentenced to a year of probation, and court records indicate he was charged with a probation violation in June 2017. He had another operating while intoxicated charge dismissed in March 2016 and a resisting or obstructing police charge dismissed in April 2012. Dedvukaj says there’s no way the officer knew Gordon had an outstanding warrant, because the car was owned and registered to the attorney’s brother. A group of demonstrators gathered in Oak Park Tuesday night to protest recent officer-involved shootings. In another suburban Detroit shooting earlier this month, Troy police shot and killed 23-year-old Robert G. Issa on April 9 outside his family home when Issa allegedly charged police while armed with knives.